DIRECTV North East Stars got their first victory of the season at Marvin Lee Stadium on Tuesday night with a 1-0 win over AIA Caledonia. 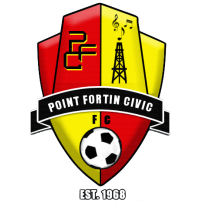 It was the second meeting of the clubs in 5 days, following on from Caledonias' 2-0 First Citizens Cup defeat of the Sangre Grande based outfit. Both teams threw themselves into a hard fought battle with goal scoring opportunities few and far between. But the lack of goalmouth action was made up for by the passion and determination of the players from both sides. 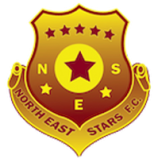 North East Stars defence seemed focused on keeping a clean sheet, while the Caledonia players perhaps had one eye on their First Citizens Cup semi final on Friday. However, the deadlock was finally broken in the 55th minute by Stars defender Seon Power to the jubilation of the North East players and the very vocal Stars supporters in the stands. This first Pro League victory for North East came on the back of a turbulent few days for the club, which saw the departure of the entire coaching staff on Monday. "Parting company with your Head Coach is never an easy decision, and it certainly wasn't a decision we took lightly" said Stars CEO Brent Sancho. "We appreciate Shurland David's contribution to the development of North East Stars, and thank him for his service to the club. 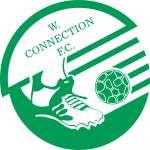 However, senior management looked at the situation and felt that in order to get the club back on target to achieve our stated aims, swift and decisive action needed to be taken" North East Stars lost their first 3 games of the season, one in the Pro League vs T&TEC and two First Citizens Cup games vs W.Connection and Caledonia. "You often think to yourself that you should give a coach one more game, but in my experience, once a team enters into a downward spiral, positive action must be taken." said Sancho. "A football team can sometimes lose belief in themselves, the club or the coaching staff and it is our job to relieve the pressure on the players so that they can focus on their next game. In many such cases, its a psychological phenomenon, but its very real." In charge of North East on Tuesday was Director of Football, Kevin Jeffrey. 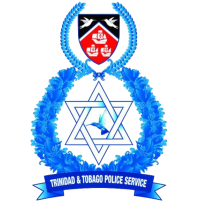 "Myself, Brent and the President, Mr Mahabir selected the team and devised a system to contain Caledonia" said Jeffrey. "Shurland David, Arnold Dwarika and Lester Young have prepared the players well physically, and we saw the benefits of that tonight, as the team played hard throughout the 90 minutes." Jeffrey said that no decisions will be made immediately about appointing a new coaching staff. "We are fortunate in that we may not have a league match until 25th October, so we have time to regroup and consider our options." 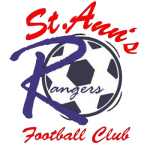 Club President, Daryll Mahabir said "Asking people to leave the club is the hardest thing I have to do in football. We know that everyone tries their best and we recognise the contributions made by Shurland and his staff. However, we have a responsibility to our supporters and sponsors and continuing as we have been was no longer an option." Mahabir said that when a team enters a losing streak there is often friction between the players and coaching staff. "The players blame the staff and the staff blame the players, but in the end, we can't replace the entire squad, so we have to make a change in the coaching personnel. Its never an easy decision, yet tonite we have seen the justification." Mahabir said that everyone at North East Stars wish Shurland, Arnold, Lester and Mitchell good luck in their careers. "We all hope to see these guys working in Pro League football this season as their knowledge and dedication will be a plus for any team." Sancho added "We said that we want to play in the CFU and CONCACAF competitions this season, so it was crucial that we got points on the board in the Pro League. The players gave 100% tonite and I was very proud of their performance. We now have to ensure that we keep this winning feeling, but with a break of up to four weeks, it will be a hard task to keep the guys focused." 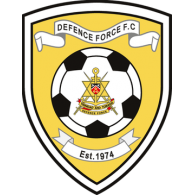 North East Stars are carded to play Defence Force on 22nd October, but it is not known if the army team will be able to compete due to restrictions brought about by the state of emergency, so North East may have to wait until 25th October to take on W Connection. Stars tags the sacking of its coaching staff a positive action. DIRECTV North East Stars management, which includes owner Darryl Mahabir, CEO Brent Sancho and Director of Football Kevin Jeffrey, left the Marvin Lee Stadium on Tuesday night with a strong sense of proper execution ending a three-match losing streak with a 1-0 win over Caledonia AIA a day after sacking its technical staff. It is understood that on Monday the Sangre Grande club relieved head coach Shurland David, assistant coaches Arnold Dwarika and Lester Young and physiotherapist Mitchell Jones after losing its opening three matches this season. North East Stars under coach David suffered a 2-1 opening defeat against debutants T&TEC FC in Round One Match Day One of the Digicel Pro League and followed up with First Citizens Cup quarterfinal round defeats against W Connection 4-1 and Caledonia 2-0. 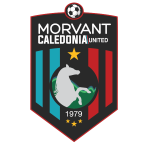 But on Tuesday night in Round One Match Day Two of the League Championship—the club’s second meeting with Caledonia in five days—this minus the coaching staff with Jeffrey standing-in, North East Stars registered a hard-fought 1-0 win, ending the three-match losing streak. 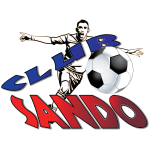 “Parting company with your Head Coach is never an easy decision,” said Sancho in a release sent out by the club on Wednesday morning. “We appreciate Shurland David's contribution to the development of North East Stars, and thank him for his service to the club. “However, senior management looked at the situation and felt that in order to get the club back on target to achieve our stated aims, swift and decisive action needed to be taken. Meatime Mahabir said, “Asking people to leave the club is the hardest thing I have to do in football. We know that everyone tries their best and we recognise the contributions made by Shurland and his staff. Mahabir said that when a team enters a losing streak there is often friction between the players and coaching staff. “The players blame the staff and the staff blames the players, but in the end, we can't replace the entire squad. So we had to make a change in the coaching personnel. Mahabir said North East Stars wish Shurland, Arnold, Lester and Mitchell Jones good luck in their careers and hopes to continue seeing them in the Pro League because their knowledge and dedication will be a plus for any team. The 37 yearold David picked up the head coach role at Stars in June of 2010, after the club parted ways with then coach American Rod Underwood. Last season David wasn’t short of success with the club leading it to the Lucozade Sport Goal Shield and reaching the Finals of the FA Trophy and Toyota Classic. 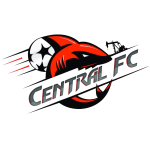 But after three opening defeats this season, the club believes the change was necessary in keeping with ambitions of finishing in the League Championship top two positions and playing in the Caribbean Football Union Club Championship and CONCACAF Champions’ League. 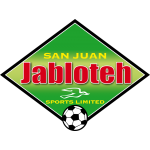 Stars next scheduled match is set for Tuesday 25 October against San Juan Jabloteh from 5pm at the Larry Gomes Stadium in Round One Match Day Four and according the Sangre Grande club, it will take its time in appointing a near coaching staff. “Brent, Mr. Mahabir and I selected the team and devised a system to contain Caledonia.